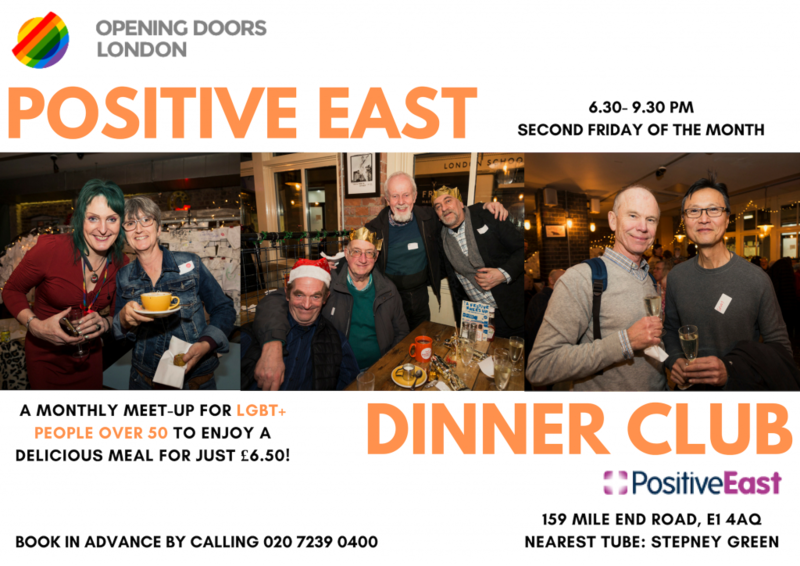 Our monthly club for LGBT people aged 50+. Run by Opening Doors London, the monthly supper club provides a three-course meal for just £6.50! A friendly and fun group for those looking to enjoy a delicious meal with some lively conversation. Supported by fantastic volunteers, we welcome new faces. Come and join us!